The visionary projection and LED screens rental house Anna Valley has made a major investment in Avolites Media's industry-leading Ai Infinity servers and the Sapphire media controller – and will be exhibiting them at PLASA 2013 on booth E82. The West London based company – which delivers cutting-edge visuals technology to some of the UK's biggest shows including X Factor, Million Pound Drop, Britain's Got Talent, and many events, conferences and award shows – is working closely with Avolites Media to offer the industry powerful solutions to push the boundaries of on-screen displays. "Having looked at the marketplace we wanted to select a media server that would be user friendly and at the same time has plenty of future capabilities," says Anna Valley's director of corporate and events, Nick Hart. "The extended features combined with a familiar user interface were a great fit." The Ai Infinity features an incredible eight Full HD outputs, and a front panel mounted touch screen enabling local control, system analysis and remote preview. Conveniently, each DVI output has an accompanying preview output. 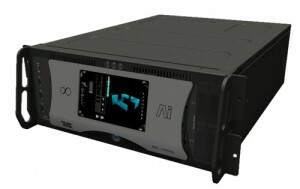 The Ai Infinity also includes internal EDID management, LTC and MIDI Time-code, Genlock Input, Multi-Server Frame-sync and Master-Slave remote control. Anna Valley has also invested in Avolites' Sapphire Media, which offers video operators an intuitive, live, hands-on show control surface enabling seamless integration of all visual elements. 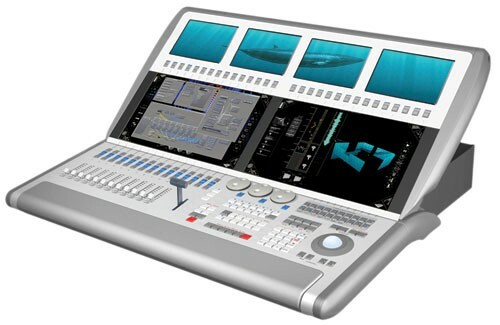 The Sapphire Media control surface connects to Ai Media servers and includes two generous, wide screen, touch surfaces for easy access to the User Interface and Salvation Engine control. Additionally, four switchable and assignable, touch preview monitors are available to the system operator. These preview monitors may be mapped to any inputs, outputs or video layers.